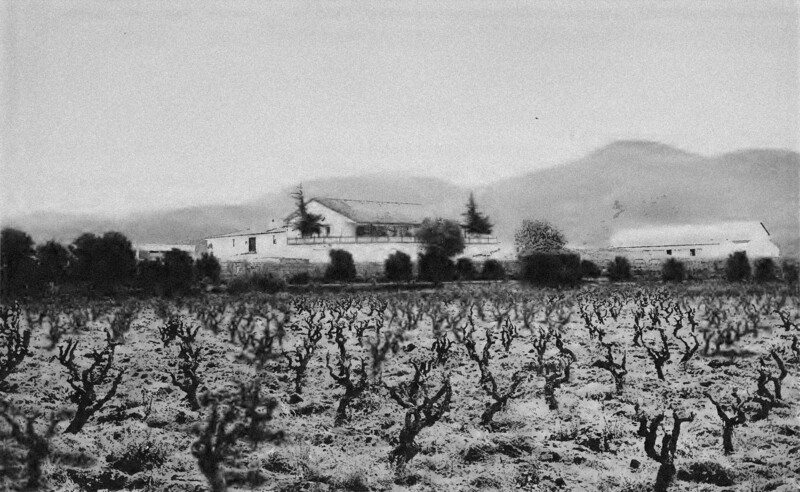 Ranch house and vineyards at Rancho Santa Margarita y Las Flores, 1887. From the book Picturesque San Diego. Formally called Rancho Santa Margarita y Las Flores, it was the largest of the Mexican land grants, and would continue to function as a working ranch for over fifty years after Gunn described it, until the entry of the United States into World War Two would change it forever. In September, 1942, the Union ran a short article describing the feelings of Juan Cerda, a longtime handy man at Santa Margarita, over the changes taking place on the ranch. “It just isn’t home,” Cerda told a reporter. It’s not clear whether Juan Cerda stayed at the place he knew as Rancho Santa Margarita y Las Flores, but thousands of marines and their families have called it home ever since its dedication in September 1942 under a new name: Camp Pendleton. Sources for this post included historic San Diego newspapers, the books Picturesque San Diego by Douglas Gunn and The History of San Diego County Ranchos by R. W. Brackett, and the history section of the Camp Pendleton website: http://www.pendleton.marines.mil/About/HistoryandMuseums.aspx . What’s In A Name? Bear Valley to Valley to…. 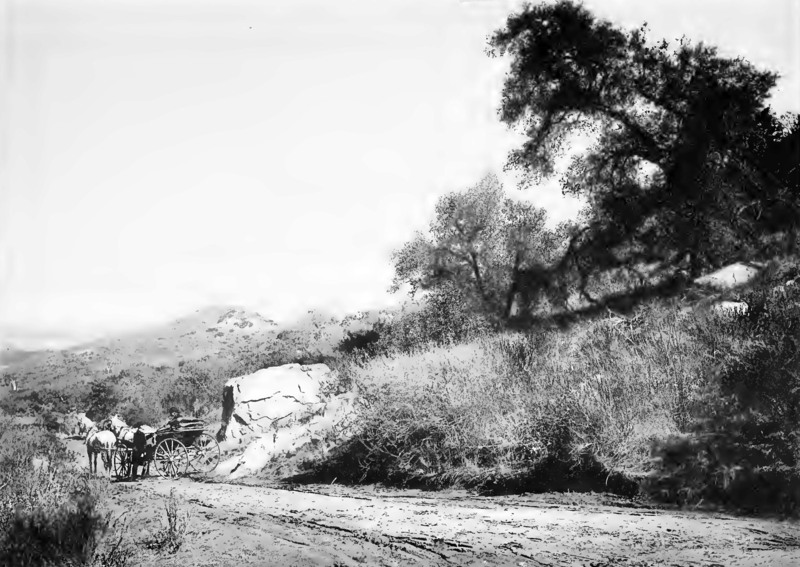 Photo titled “View near Entrance to Bear Valley,” from the 1887 book, Picturesque San Diego. Yes, Bear Valley was a busy farming area in 1874, producing grain, hogs, bacon and honey among other things. The Striplings, Davises and Adamses were among a growing community of homesteaders in that section, 40 miles north of San Diego city on the way to Julian. In 1878, the p. o.’s name was changed to Valley Centre, and in 1887 that spelling was amended to the name we’ve known it by ever since, Valley Center. Sources for this post include historic San Diego newspapers and the books, Picturesque San Diego by Douglas Gunn, and Once Upon A Time in Valley Center, compiled by the Friends of the Valley Center Library and the Valley Center Historical Society. Photo of Horace Kent ranch, circa 1900. Courtesy Poway Historical and Memorial Society. 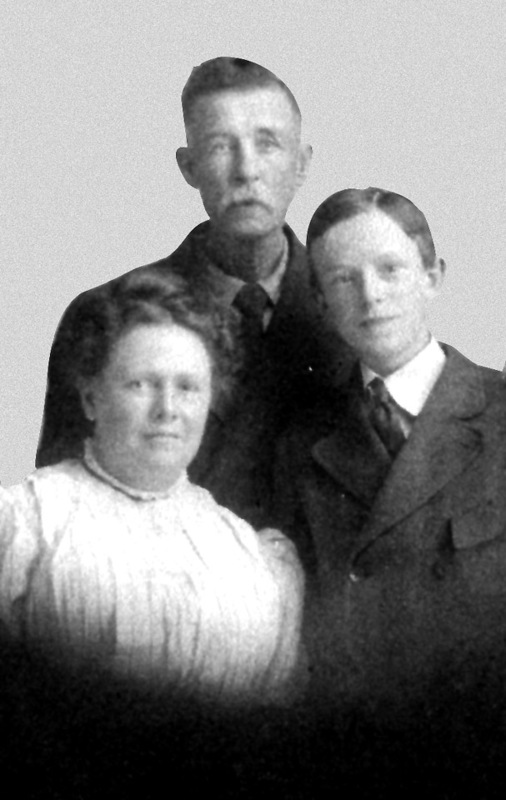 The Kents were a pioneering farming family in the Poway Valley in the late 19th and early 20th centuries. 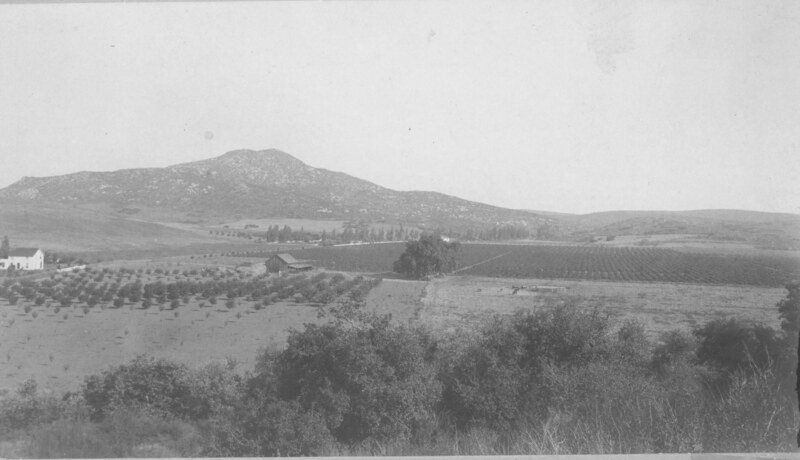 Horace and all his sons, like many ranching families in the valley, made bi-monthly trips over the Poway grade into San Diego to sell their wares. People who write about “sleepy” farming towns in the rural past should take a closer read of old newspapers and other accounts like the book, San Diego Back Country 1901, by Gordon Stuart. The book was self-published in 1966 by Stuart, a longtime Poway resident and charter member of the Poway Historical and Memorial Society. Stuart was also a nephew of Lewis Kent, and accompanied his uncle on some of those trips over the Poway Grade, hauling produce in a wagon pulled by a team of horses. After the last delivery had been made, Kent and his nephew would eat “a second breakfast” at one of the places around Fifth or Sixth and D Streets. Then they’d corral the wagon in a stable for the evening, sleeping under it or, if they’d done a little better, spending the night in a hotel before setting out the next day for the long journey home.